Create a world of fun adventure for your little one. 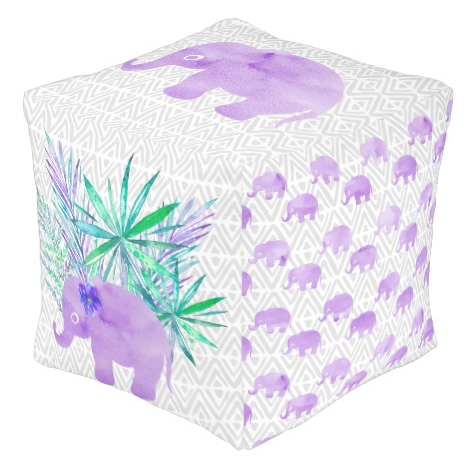 Meet our sweet, cute little Watercolor Jungle Elephant. 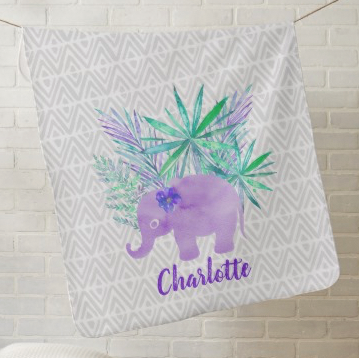 She coordinates with shibori chevron patterns, polka dots, and a watercolor forest in an assortment of customizable baby products for that sweet little girl in your life. 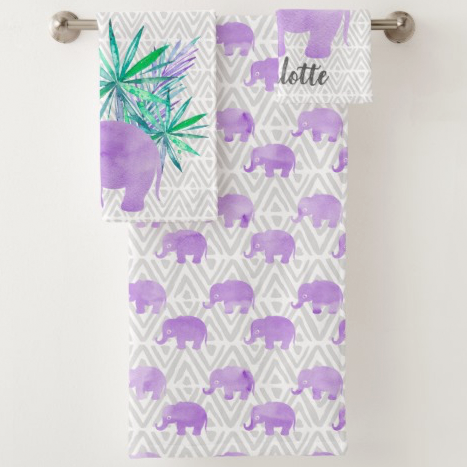 In shades of lavender, tropical green, and silver gray, our products are perfect for the nursery, the bathroom, for travel, and to dress up your little hula girl. Most of the designs are reversible and customizable. 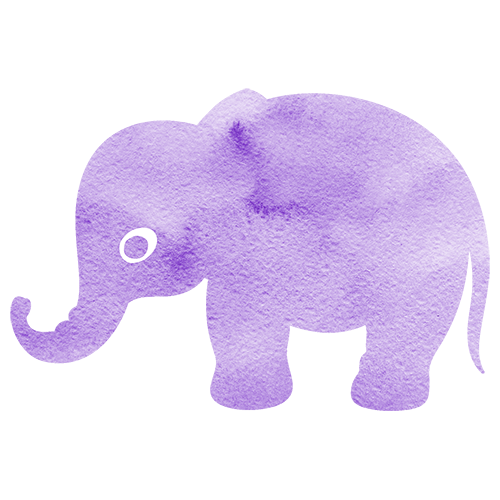 Just click here to shop, and our little elephant will whisk your little one to her first adventure. Say Aloha to our Watercolor Sea Turtle from tropical artist Jeff Fillbach. 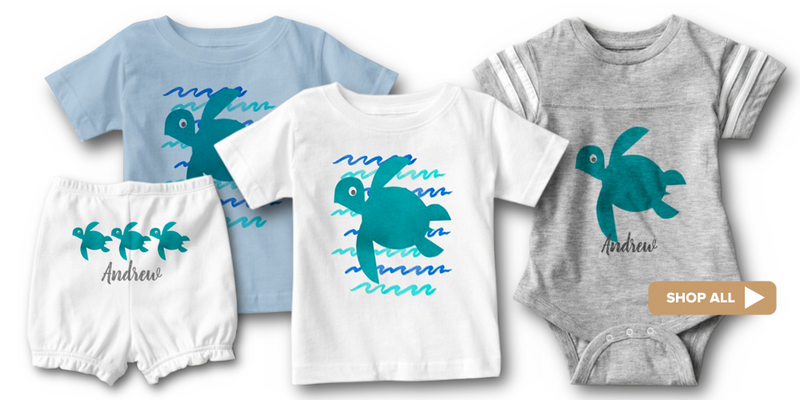 Our adorable Watercolor Sea Turtle Coordinates with shibori wave patterns and watercolor stripes come in an assortment of customizable baby products for that little boy in your life. 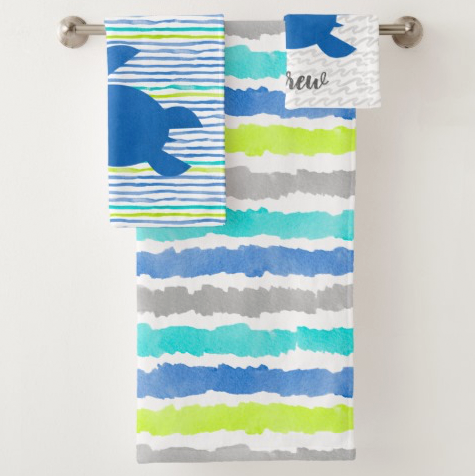 In shades of ocean teals and blue with soft silver gray and lime green accents, our products are just the thing for your nursery, bathroom, for travel, and to dress up your little surfer boy. 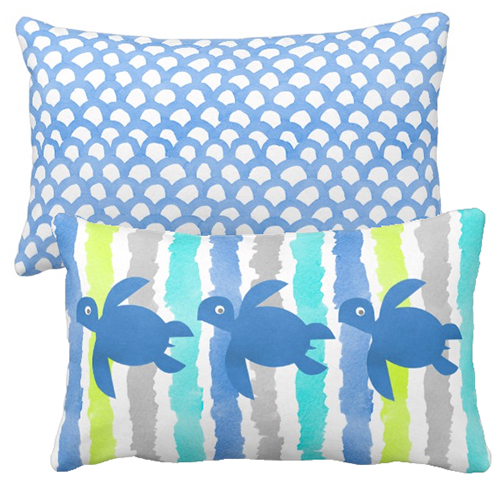 Most of the designs are reversible and customizable. Also shown above is a poster of the new illustration "Molokini Cove" from Jeff Fillbach. 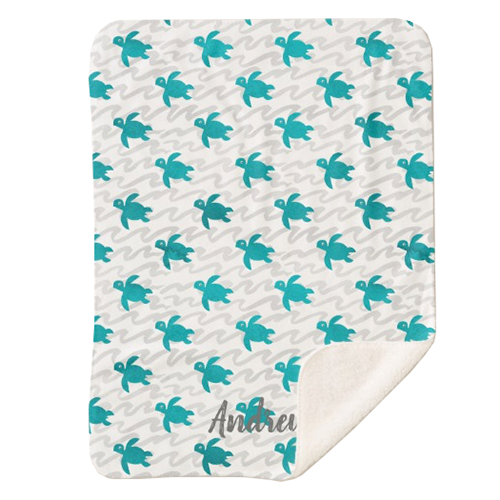 Just click here to shop, and our little sea turtle will swim into your hearts.